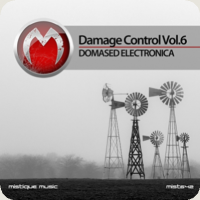 Album with best Domased Electronica’ tracks was released on Mistiquemusic’s Damage Control Vol.6. the second compilation under its “TBOJ” seal, which is Persian for “Peace”. of Spiritual, Emotional, Ethno and Psychedelic soundscapes. M.Ali Entezarian , aka Proyal from Iran, having produced 2 full-length albums of healing music and he also compiled the first volume of VA TBOJ. Ambient & Downtempo tracks with a Spiritual, Ethno & Emotional touch by “Mirage Of Deep”, Jasmon,and Progressive sounds from Matteo Monero”, Youngen, Jason Van Wyk, Andy Duguid, and… in one of them. The Vocal and Trance selection presents transcending creations by Progresia, Solarstone, Driftmoon And Andy Blueman &….. 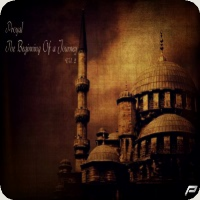 The Beginning Of a Journey Volume 2 Compilation has been sealed with Healing Love. Certainly a “must have” for Magical & gnostic sessions, light working, subtle dance and for all downbeat music lovers looking for ancient, spiritual and transcending psychedelic soundscapes. The album unfurls like a wondrous tapestry of organic instrumentation and easy-going funk perfect for mysterious recovering from the intensity of an evening with the Unknown Mysterious. Please close your eyes and join with us. With almost a double century of production credits to his name dating back to 2006, Polish artist and DJ, CJ Art, has established himself as consistent force in a turbulent electronic music scene. His work signed to such luminary imprints as Mistique Music, JOOF and Suffused Music, the self-proclaimed producer and sound designer has released a steady stream of music that has evolved in impressive style. Now taking his talents to the embryonic Cloudy Moon Records with its focus on “deep, dark, old school prog and psy sounds”, “Immersion” provides 160 minutes of music spread across two developing aural palettes and over thirty high-calibre tracks. Part I sees deep, rich progressive sounds blended with consummate ease as the skill of emerging talents and established starts combine. A European renaissance sees Italian, Danny Lloyd, nestle exquisitely alongside Ireland’s Lateral Cut Groove while Serbia’s Progress Inn and Greece’s Simos Tagias continue the grand tour. Opening proceedings himself, CJ Art continues to make regular appearances throughout the first half in a journey full of melody and deep pounding rhythms. Part II brings to the fore a clutch of deep percussive grooves as legends from Belgium and Israel feature – Faskil and MOSHIC remixing Kaan Koray and Anton MAke respectively. 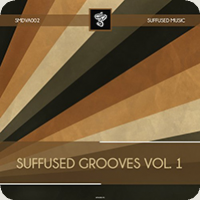 Suffused Music’s regulars Dr. Avalance and Advent’s Rising ply their impressive skill sets to great aplomb and CJ Art punctuates a hypnotic groove-laden 80 minutes with a series of remixes that have helped carve out a still growing reputation. Diving head first into a sea of musical tranquillity, CJ Art’s total “Immersion” in the music that defines him has created sonic ripples that truly represent the deep, progressive sound. As his interest in electronic music crew, AudioStorm started to write his own tracks which are supported by many of his childhood heroes. He now has releases on multiple labels like Particles, System and Baroque, Balkan Connection, Mystique Music and many others. He also has a diverse range of releases from Progressive House and Techno to Chill-Out and Indie Dance. This clearly indicates a talented producer who does not let genre boundaries cloud his musical vision! Two years ago AudioStorm aka Ognjen Vukovic joined LuPS Records with his track Amazon Clouds. A ambient and atmospheric track. 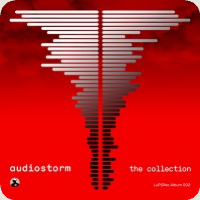 Ever since AudioStorm released three other originals and a couple of remixes on the label. Now two years later, the idea came up to make a compilation of Ogjnen’s work and the best remixes and release it as an album. As bonus Ognjen submitted a brand new track called Addition Energy. A firm kickdrum, well programmed percussion and a deep warm bassline forms a perfect background for a floating, dreamy track with all sorts of eerie soundscapes, swelling synthlines, vocalsnippets, swirling arps and spacey fx’s. Hard Way is a perfect example of how versatile progressive music can be. AudioStorm managed to blend together a few styles in this track. A chugging techno groove in the background with on top long layers of mellow progsounds and a handfull of old school synthstabs, arps and fx’s. Alexander the Great is a gorgeous deep moody quality prog house track. The original oozes depth and is causing a relaxed atmosphere. Long layers of sound, eerie pads, growling sawlines and crispy percussion are doing the rest. Fly With Me is a melodic Deep House track with a summerish fresh uplifting feel. The track contains a rather cool morphed trumpet sound which pops up every now and then. Besides Ogjnen created a real floating atmopshere with well programmed percussionlines and fragile tiny melodylines. This is the brand new unreleased track on this album. Additional Energy is a more Techno based track with a old school bassstab and crispy rolling percussion. All sorts of raw edge sounds are popping up during the track. The contrast with the eerie moody pads makes this track really interesting. Vladimir took a totaly different route for his remix. His remix contains a laidback deep soothing groove with a rather relaxing bassline and crispy fx’s. The Vlada D’Shake remix proves that the good old prog sound is still alive in all it’s facets. For Domased Electronic this remix was his debut on LuPS and how? Ladislav delivered an impressive masterpiece with a huge swinging groove which has been stuffed up with lots of danceable percussion lines and elements. Ladislav also inserted a few new syntstabs which are really catchy. The breakdown section is just amazing and a true dancefloor filler. You simply can’t go wrong when dropping this remix and it still sounds massive! Hailing from Greece Thanos Dallas handed over another storming remix of Hard Way at the time. His remix contains a majestic prog house groove with that typical Greek emotional feeling and atmosphere. However this remix goes way deeper then the one from Domased Electronica. Besides that it just sneaks under your skin to stay there for quite some time. Also for JJ Grant this remix was his debut on the label. He delivers a true type chugging prog remix with a devastating bassline and a tremendous flow and feel. This remix goes even deeper then the original and is causing goosebumps on your skin and shivers down your spin. This is a straight from the heart Prog remix at it’s best. The first remix or better rework comes from Ognjen himself. 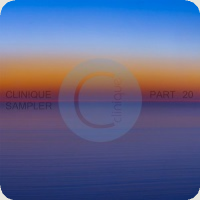 His Tropical Hibernation Mix is a downtempo chill out tune which is perfect for a sunset on the beach. The start is perfectly gorgeous and really tensed and fragile. Then when the downtempo breakbeats are coming in the whole track comes alive. The second remix of fly With Me on this album comes from labelboss Jacco@Work. His reinterpretation of the original is a based upon a Tech House angle. His rmeix contains a steady and solid beatstructure with a blunted bassline and driving percussion. As the track develops Jacco adds bit by bit the original elements but in a tweaked and morphed way. This gives his remix a more raw and freaky feel. Released on Double CD and Digital Download on the 14th November. After the huge success of the first Passion album mixed by Lange & Genix we are pleased to bring you the second edition from the UK Superclub. This time, one of the true legends of not only the UK, but world trance scene John ’00’ Fleming and one of its fastest rising stars and Passion resident Bryan Kearney to take the controls of Volume Two. John 00 Fleming is one of few artists that have maintained underground respect whilst enjoying commercial success during a career spanning almost a quarter of a century. John has sold 10 million records, with singles on over 100 mix compilations and has remixed a cross section of elite artists whilst DJing across a global playing field. His mix is typical of his sound, as he seamlessly blends together trance, progressive, psy-trance and even breaks, to truly create a unique atmosphere as he builds his set from start to finish. Incorporating some of his own releases, as well as stand out tracks and remixes from Airwave, E-Clip, The Digital Blonde, Burn In Noise, Moshic and many others, this is yet again a true master class from John ’00’ Fleming. Over the past couple of years, Irishman Bryan Kearney has firmly established himself on the world scene. The talented technician’s cutting edge sets contain the very best in upfront club driven music with the emphasis always on energy and the unexpected. A DJ that likes to take risks, do things differently, and loves to surprise clubbers will no doubt have them enthralled with his mix, cramming in a massive 23 tracks to leave the listener constantly engaged with his electric mix of trance and techno. This compilation is a tribute to a very young talented friend Ali Inzel who lost his life recently. This was the less some of his friends could to do to pay respect to his memory. 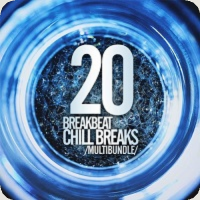 Twelve tracks included in this package going from ambient to deep prog. The only thing we could say about it is Rest In Peace Ali.